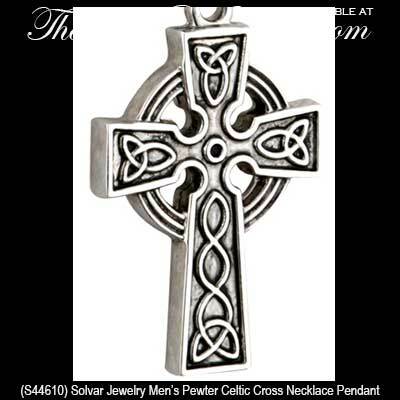 Celtic cross necklaces are masculine designs made of pewter that will offer years of rugged ware. Select from several pewter Celtic crosses that are suitable for a man. This section of Irish jewelry is not necessarily only for men but the pieces are of a larger nature. 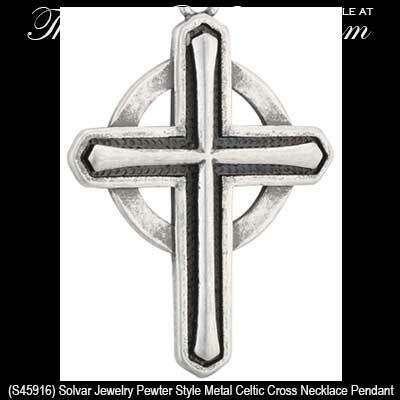 If you are interested in viewing more burley examples we do have additional large crosses that are fashionable for men within our stainless steel Celtic cross necklace page and on our Celtic cross necklaces for men page. 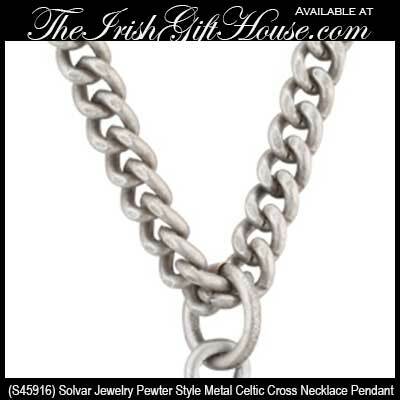 Collectively, these larger pieces of Irish jewelry have longer and heaver chains than their smaller counterparts. You may want to also take a look at our Celtic Jewelry for Men section for additional considerations in larger Irish jewelry that consists of masculine pieces such as the Men's Celtic bracelets and the Irish and Celtic cuff links. 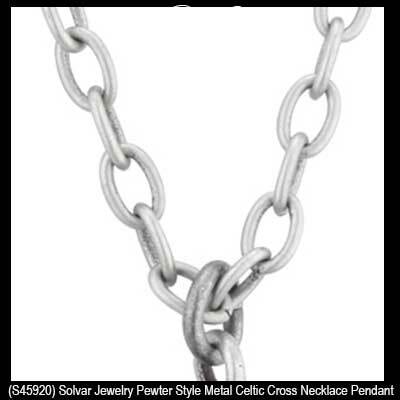 These pewter Celtic cross necklaces are made in Ireland by Solvar Jewelry.